That's me with my two babies: Freckles the Basset hound and the one I hadn't met yet, though I'd carried him for 40 weeks. Freckles looks disconsolate because I was telling him good-bye before I left for the hospital. And because he's a Basset hound. That day 25 years ago changed my life. 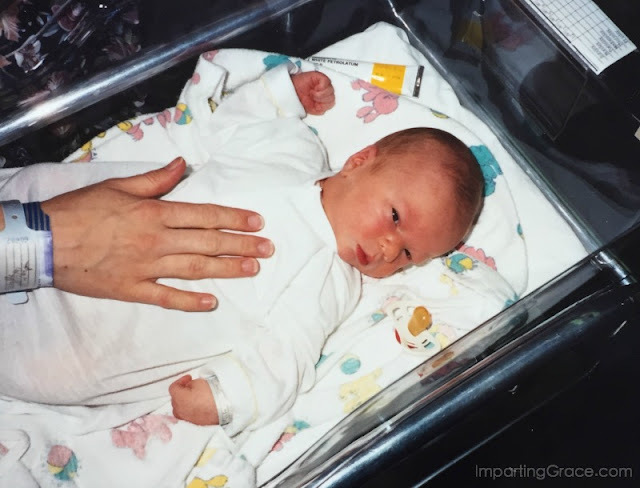 On May 17, 1991, I became a mother. 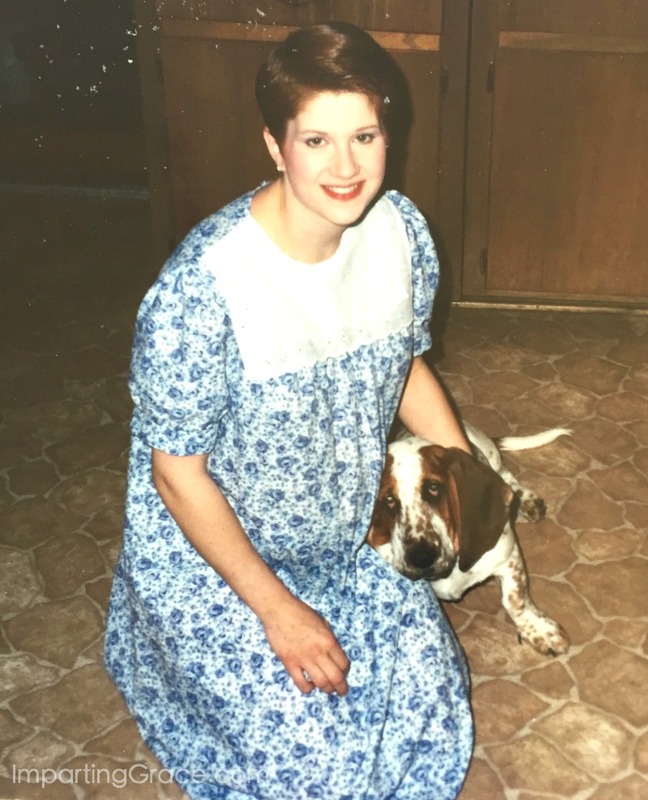 I'd been a Christian for many years before I had a baby. I was reared in a Christian home, attended a Christian college, married a Christian man. I couldn't imagine a life that didn't revolve around church activities. I loved Jesus and tried very hard to be like Him. But boy, did I fail. Oh, I wasn't blatantly sinful. I lived a pretty upright life. I wanted to be more like Jesus. But the Jesus I read about in the Bible was so loving. He welcomed all kinds of people with open arms. Me? I was critical and short-tempered. I wanted to love people freely like that. I tried, I really did--but people drove me crazy! Mercy, Lord, how could I ever learn to put up with, much less love, such irritating people as I encountered every day? I reckon that when I asked God that question, He said, "Don't worry; I'll show you." 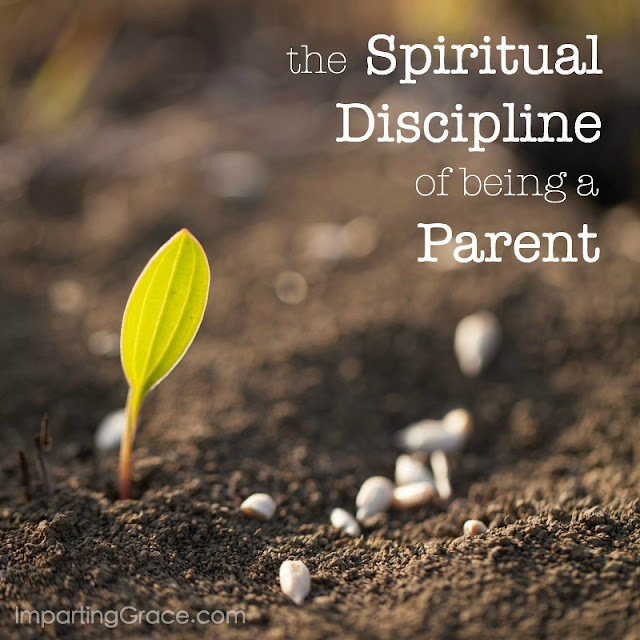 Although I practiced several of them, I'd never heard the term "spiritual discipline" when I became a mom. 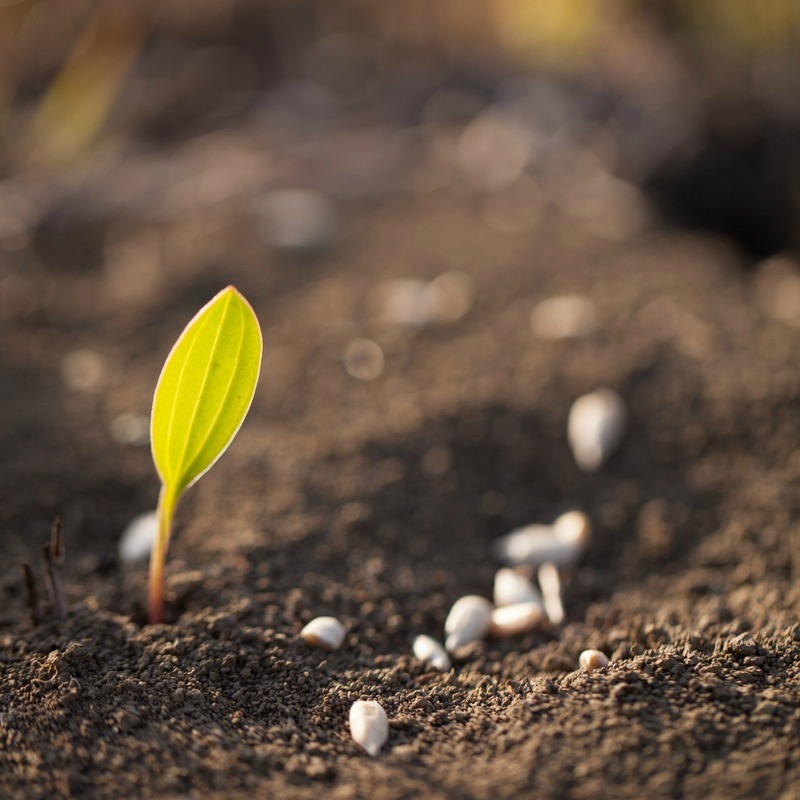 I remember so well when I first encountered the work of Richard Foster and Dallas Willard. I learned from them that a discipline is an activity within our power--something we can do--which brings us to a point where we can do what at present we cannot do by direct effort. That made sense to me. I knew people who had disciplined themselves to excellence in a particular pursuit: athletics, music, academics, etc. But I'd never thought about the place of discipline in the spiritual life. One of the biggest aha! 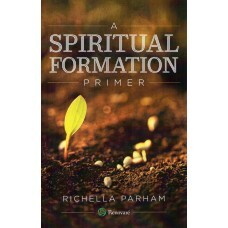 moments of my life came when I learned that practices such as study, prayer, and worship are spiritual disciplines. "These disciplines are the main way we offer our bodies up to God as a living sacrifice," Richard writes. "We are doing what we can with our bodies, our minds, our hearts. God then takes this simple offering of ourselves and does with it what we cannot do, producing within us deeply ingrained habits of love and peace and joy in the Holy Spirit." I'd always wanted to be a different kind of person, the kind of person who loved and appreciated people instead of being irritated by them. I tried. I wanted to change myself, and I was constantly frustrated. No wonder: I was trying to do God's job. Then I became a parent, and no longer did I have time or energy for trying to change myself. Instead, I submitted to all the little things that a parent does. I fed my baby and changed his diapers and bathed him and read stories and played with toys and picked up toys and cooked meals and washed dishes and taught manners and prayed. Day after day after day. For 25 years now, I've been doing what I can do, one little thing at a time. Nothing big, just being a parent, depending on God to help me. But recently I was having a conversation with my kids--not just that one boy born 25 years ago, but now three boys who have become men. We were talking about a difficult person one of them had encountered. I offered a viewpoint to which one of my sons replied, "Your opinion doesn't count, Mom; you love everybody." Wait--what? Is that true? Me? I've just been here, plodding along, doing what needs to be done, doing what I can do. And God's been doing what only God can do: changing my heart. Changing me into someone who is more like Jesus today than she used to be. That first little baby of mine is now an officer in the U.S. Navy. Just as I'll never forget the day he was born, I'll always remember the day he was commissioned. 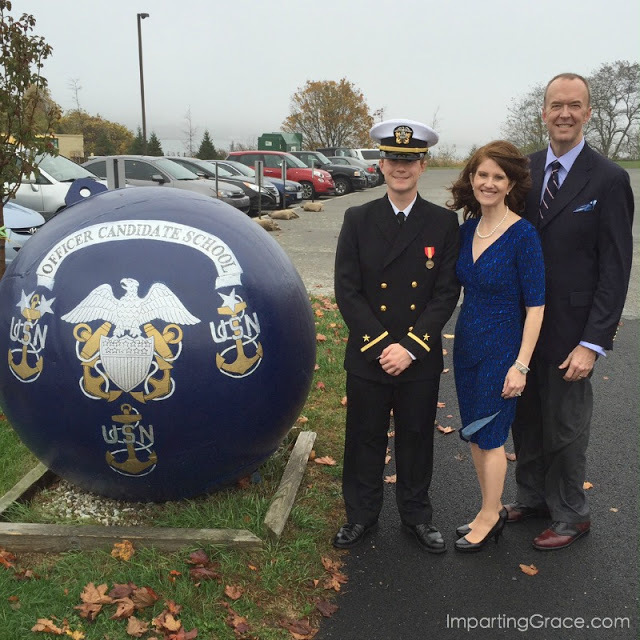 My heart caught in my throat when I saw an enlisted man salute my son and call him "sir." My boy has changed an awful lot in 25 years. And by the grace of God, so has his mom. Thank you for sharing your beautiful heart, Richella. So grateful to have a wise yet humble friend who's a bit further along in the journey. I just love this post. A really inspirational story. Birthday blessings to your son (Will - I think). What a wonderful and inspirational story! Happy Birthday to your precious son. I have two boys (12 and 10) and being a mom to boys has taught me so much about myself. Beautiful story Richella! I'm striving more each day to be like Jesus...thank you for this inspirational post! I love how God changes us in the daily minutiae of life, often when we're not watching. Thanks for sharing your story of how God worked through your parenting to change you. We serve an awesome God! It is good that we keep growing as parents ... even when our kids are grown. Happy Mother's Day (belated) to you. Wow, I'm not pulling your leg or anything but I think you've just become more gorgeous after 25 years. Hi Richella! What a lovely post. I so appreciate what you shared about how spiritual disciplines can change our life in Christ. I'm hopeful that my kids see the handiwork of Christ in me as well. Have a blessed week! Love this post! Happy birthday to your sweet Will. Oh what a beautiful story Richella! I'm wiping away tears. We so appreciate you joining the Thoughts of Home on Thursday gathering. May you have a delightfully lovely weekend. This is a beautiful testimony to your life, faith, role as a mother and our sweet Lord. So proud of your son and that he serves and protects our country-thank you. Thank you too for sharing this with us at TOHOT.